I cannot get enough of Blondie Lockes! YES! Thank you to my hubby for being sick and running out of tissues. 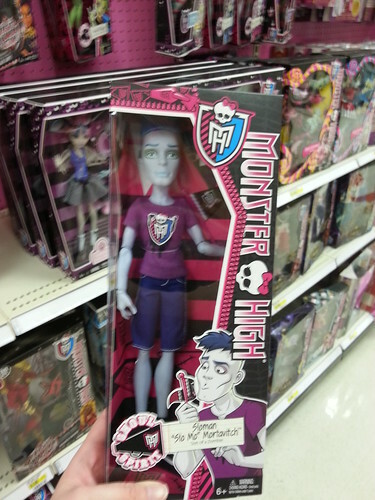 Even though I was just at Target yesterday, I decided to stop by the doll aisle anyways, because I always do. And there he was, sitting on top of the DC 5-pack. Someone had been eyeing him, but the aisle was empty of people. I snatched him off of that shelf! 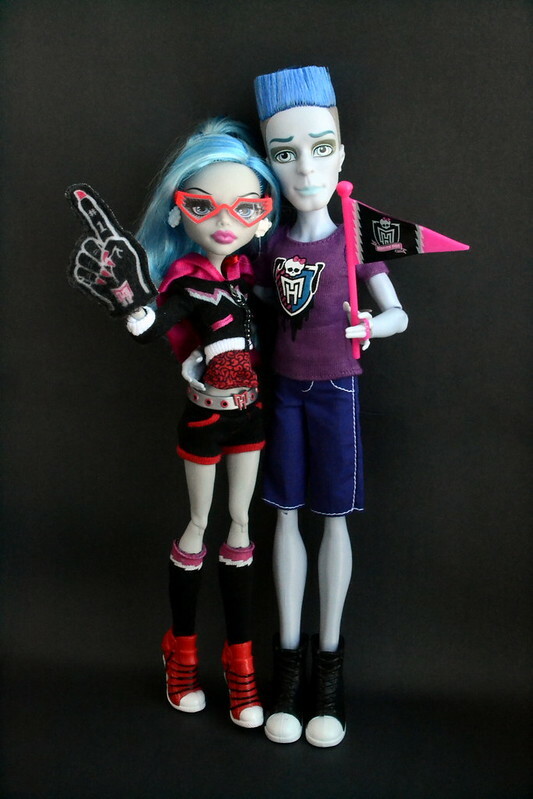 I’ve never held a doll so tightly before in my life! These shoes have been found on taobao (a Chinese website similar to eBay, we see lots of pre-release info here) and they are already causing a stir. A most beautiful Spring day! Today was such a beautiful Spring Day! 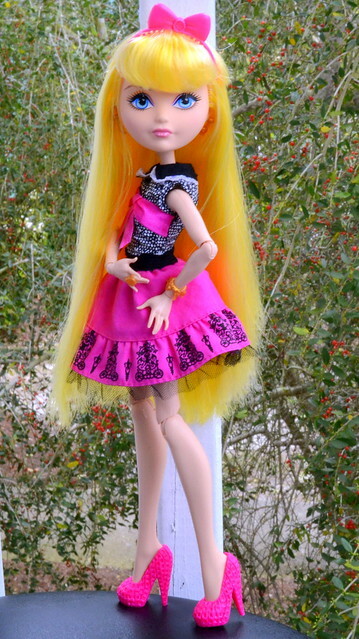 I spent most of the morning on my balcony taking MH and EAH doll photos! I’ll post them after the cut. But first! 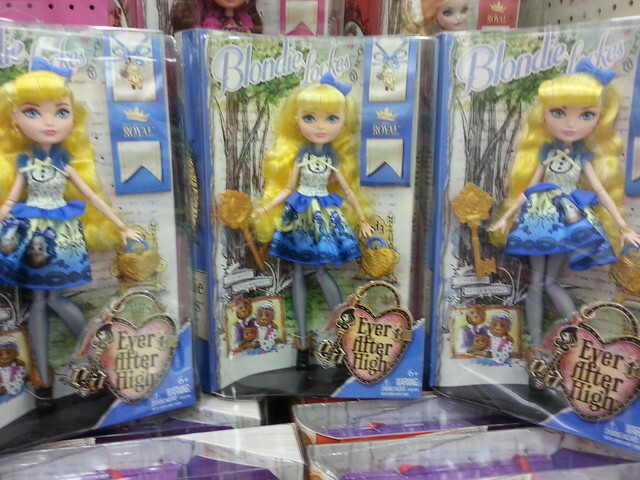 My Target has gotten a new shipment of Royals in, and the new Blondie with the different styled bangs has appeared! In the middle is the older-style triangular bangs, and on the outsides are the new bangs. What do you think? Which do you prefer? I’m trying to convince myself that I do not need this newer version. 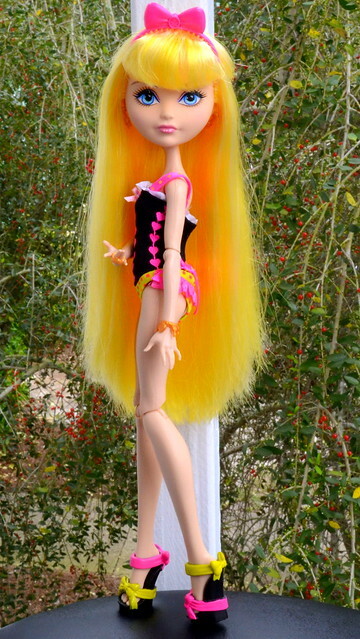 Blondie Lockes is my favorite doll and I feel the need to buy them all….